The Wilson family left behind their home in Scotch Plains, their family and friends and everything familiar for a moment like this. On Aug. 22, Brian Wilson took his daughters Adele, 5, and Vivian, 3, to the Denver Zoo, a 5-mile drive from their home. They admired birds and elephants and hippos at feeding time, but the highlight – the moment that made him want to cry and still does when he retells it – was the carousel ride. With Adele on a dolphin's back, and "Vivi" atop a horse, the sisters enjoyed their first amusement ride together. "At first, the ride wasn't moving and Vivian started to get anxious," Wilson said. "Once it started moving, she just started smiling. She kept saying 'thank you' and kissing me." The simple outing was daring by the Wilson family's standards, and unthinkable had they still lived in New Jersey. Vivian suffers from Dravet syndrome, an aggressive and potentially deadly form of epilepsy. Exposure to sunlight, temperature fluctuations, geometric patterns – anything, really – could trigger a seizure. They dressed her in a floppy hat, an eye patch, sunglasses and a vest outfitted with ice packs. Wilson carried a mini-oxygen tank in a canvas bag, just in case she had a seizure. And that morning, Meghan Wilson, Brian's wife and the girls' mother, squeezed three small syringes of specifically tailored tea-colored cannabis oil into Vivian's bird-like mouth along with her anti-seizure medication. That's something she could not do in New Jersey. After running out of conventional medical options for Vivian, the Wilsons turned to New Jersey's medical marijuana program last year and became activists when they found it too restrictive to help their daughter. When their battle to change the program led to only modest changes in the law – even though Brian Wilson crashed a campaign stop last summer and pleaded with Gov. Chris Christie, "Please don't let my daughter die" – they gave up on their home state. The family left New Jersey on Feb. 28 for Colorado and its robust medical marijuana program that has attracted medical refugees from across the country. They heard about cannabis' positive effects on children with Dravet and other untreatable forms of epilepsy, which so far haven't been validated by the FDA because marijuana remains an illegal drug under federal law. In interviews from their home six months after their move to Denver, the Wilsons say they made the right decision to leave New Jersey. Vivian is improving through a delicate balance of a high-fat diet, two anti-seizure drugs and two kinds of cannabis oil administered four times a day. Seizures are no longer daily occurrences. Her developmental delays are slowly easing, making room for Vivian to be a kid. Her vocabulary is growing, and she properly pronounced the word "Momma" for the first time on May 11, Mother's Day. She spent two hours in the park and took her first ride on a swing on Sept. 1. She peed on the potty for the first time the following day. She smiles more and kisses everyone. "There a lot of things that have changed with her," Brian Wilson said. "There are still horrible days. It's not all great. But it trends upward. It's like a stock market chart." If they were to tally up the wins and losses, the gains outweigh what they gave up. "She didn't have any quality of life last year," Meghan Wilson said. "Her life is better because we added cannabis." They lost their support network of friends and family, as well as a welcoming, experienced school district in Scotch Plains that was prepared to respond to Vivian's special education needs. It took negotiating but the Denver school district has agreed to hire Vivian's caregiver to supervise their daughter in the classroom. She starts preschool Tuesday, Meghan Wilson said. They also lost a little faith in Colorado, which from a distance appeared so much more progressive than New Jersey. Three weeks after the Wilsons arrived, the state barred licensed labs from testing marijuana products unless they come from a commercial grower or seller. Brian Wilson buys, cooks and processes half his daughter's cannabis oil with recipes shared from other patients and their families. Without the ability to test its potency, "I'm flying blind," he said. Just last week, the Denver City Council proposed an ordinance that would effectively outlaw Brian Wilson's method of making cannabis oil, using grain alcohol. With seven fires and explosions caused by people using butane and one using alcohol, city fire officials urged the council to ban the home use of all flammable liquids. Wilson explained to a council committee discussing the bill Tuesday that he cannot buy what his daughter needs, and he's fine-tuned a recipe that is preventing her seizures. If the ordinance passes, "my daughter's condition will deteriorate and I fear she will die," Wilson told the panel. "We don't want to move again. We were forced from New Jersey back in March to get this treatment. ... I don't want to be forced to move again just to keep treating my daughter." To Wilson's relief, the committee delayed a vote on the bill. Council members said it will be rewritten to allow alcohol use in private homes, with certain restrictions. The Colorado migration of families whose children have severe cases of epilepsy began three years ago after word spread on social media about then-5-year-old Charlotte Figi. A Colorado Dravet sufferer whose heart had stopped several times and could no longer walk or speak, Charlotte went from 300 seizures a week to none for seven consecutive days after her parents gave her oil from a unique strain of cannabis. 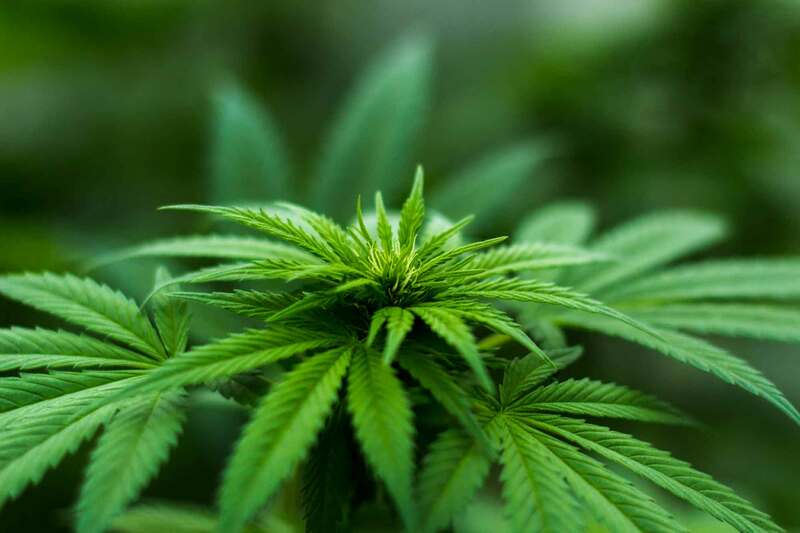 The strain was low in THC, or tetrahydrocannabinol, the active ingredient in marijuana that gives users the "high" euphoric sensation, but loaded with CBD, or cannabidiol, which doesn't get users high but reduces seizure activity. The Figis found the Stanley brothers, marijuana growers in Colorado Springs, who were willing to develop their own strain of hemp similar to what had worked for Charlotte. They named it after her, calling it Charlotte's Web. They grow for 250 children now. Charlotte's Web has dramatically reduced seizure activity in 80 percent of the children who take it, said Josh Stanley, CEO for Realm of Caring, the nonprofit the family formed to serve children in need of the strain. Standing inside one of two greenhouses on a 54-acre site facing Pikes Peak, Stanley said the other 20 percent "stay on it for the cognitive development. It's rare not to get a call from a parent crying" because their child "is making eye contact, walking, saying new words." Since arriving in Colorado in February, Diane Fornbacher, formerly of Collingswood, has become a self-appointed ambassador for medical refugee families, including the Wilsons. The 37-year-old longtime cannabis activist is a wife and mother of two boys who left New Jersey when Colorado legalized marijuana. She uses it twice a day to treat the debilitating effects of post-traumatic stress disorder, without having to fear child protection workers would take her children. New Jersey's Department of Children and Families opened an investigation into her family last year but closed it without finding any wrongdoing, Fornbacher said. She offers encouragement and her Rolodex of medical and employment contacts, and opens her Highlands Ranch home 15 miles from Denver for gatherings to the nearly 100 relocated families she's been in contact with, including five from New Jersey. "That's just the tip of the iceberg; thousands are coming," said Fornbacher. "They come here for the treatment, to see if it's viable. Lots of times there is just one parent and the sick child. They split (up) because they can't afford to move here, don't want to move here, are afraid to move here – they don't want to lose their doctors." Brian Wilson rented a place in Denver last fall to establish residency and brought Vivian out to try Charlotte's Web for a week, to see how she would respond. "We were pretty sure cannabis would provide some level of help for Vivian," he said. "The onset of improvement was pretty fast, but maintaining that day by day has become quite a challenge." In April, an ambulance rushed Vivian to the emergency room for the worst seizure attack she's had in more than a year, Brian Wilson said. "We are seeing more extremes," he said in a telephone conversation in May. "The better times are better; the bad days are worse." Vivian showed the most improvement when she consumed Charlotte's Web with a product higher in THC, but her parents couldn't find what she needed at the very few dispensaries that were manufacturing THC oil. Working from home, Meghan, 36, a clinical trial manager, and Brian, 40, a software engineer, divide the many tasks and rituals they say are necessary to keeping Vivian healthy. Brian buys Charlotte's Web from Indispensary, one of Realm of Caring's retail sites in Colorado Springs, and the THC strain from RiverRock South, a nearby dispensary in a Denver strip mall. When the store manager saw Wilson on a recent trip, he eagerly showed Wilson a jar of dried marijuana named Pineapple for its fruity aroma, letting Wilson smell and inspect it. Wilson bought an ounce of Harlequin for $200, laughing at how the same purchase would have run more than $500 in New Jersey. The steep price speaks to how small the Garden State's program is, which, according to state data, serves 2,400 patients versus Colorado's 112,000 patients. Dispensaries must charge high prices to remain open, he added. Wilson said he is grateful to be in a state "with a real program... "I can have these amazing conversations about all the different cannabis varieties and strains. No one looks at me funny here or lectures me because it's for a kid." From their comfortable one-story brick home in the leafy, stately Washington Park neighborhood, it's a short walk to the liquor store where he buys a jug of grain alcohol for his cannabis oil-making project. In a multi-step process over three days, Brian Wilson dries the marijuana in the oven and extracts the active ingredients by repeatedly flushing the plant material through a sieve and coffee filters with alcohol. The material sits in the freezer overnight, then is heated again to cook down the alcohol, while coconut oil is added. It makes enough oil for two months. The material sits in the freezer overnight, and then it is cooked down again. Brian Wilson said sometimes he feels overwhelmed about making his daughter's cannabis oil, but he's cautious and has spent hours educating himself on how to do it. Meghan's responsibility is to prepare Vivian's ketogenic high-fat diet, mostly egg, cheese and vegetables dishes. Her meals, which Vivian voraciously consumes with a sly smile, are as much as medicine as the anti-seizure drugs and cannabis, her mother said. The Wilsons record everything Vivian consumes, her sleep habits and moods, her developments and setbacks in a daily planner on the kitchen counter. But their precision can't prevent everything. After going two days with no seizures, Vivian screamed and cried in the bathroom. Her mother rushed in, breaking Vivian's trance as she stared at the light reflecting off the plaster wall, and carried her into the living room. Her parents laid her on her side on a yoga mat. Convulsing and drooling, Vivian was hooked up to the oxygen tank her parents keep by the front door. Adele comforted her little sister by bringing her a stuffed animal. The five-minute seizure was bad, but convulsions were minimal, and the arsenal of medication – a prescribed anti-seizure drug, a syringe full of cannabis oil rectally, with some oil on her gums – arrested the spasms. Within half an hour, Vivian was drawing on her easel and doling out kisses. "What's incredible is she is up functioning right now," Meghan said after the seizure. Maybe it's another sign of progress, she wondered. Whether they will return to New Jersey is an open question. New Jersey's medical marijuana program would have to catch up with Colorado's to allow Vivian to maintain her progress, the Wilsons say. "The biggest challenge is being cut off from everybody – our family and friends," Brian Wilson said. "My parents or Meghan's parents would call up and say, 'Do you need to go out?' That isolation has been wearing on us." Brian's parents visited around Memorial Day and saw a welcome change in Vivian. "She was more responsive. She wasn't as lethargic. She's starting to laugh," said Loretta Wilson of Florham Park, Vivian's paternal grandmother. However, the distance between the family is "killing us. Part of me is missing," Loretta Wilson said, sobbing. "It's hard on us because we are missing out on so much," she said. "If it takes five years for them to come back, we would have missed the best part of their lives."